We always leave the dock feeling opportunistic, but this trip the weather reports had us a little on edge. Although we started the first morning with a sharp NW swell and medium 10 to 15 kt winds it made it tough to find a school that wanted to bite but when we did we were greeted with quality 40 to 120 pounders right off the bat. 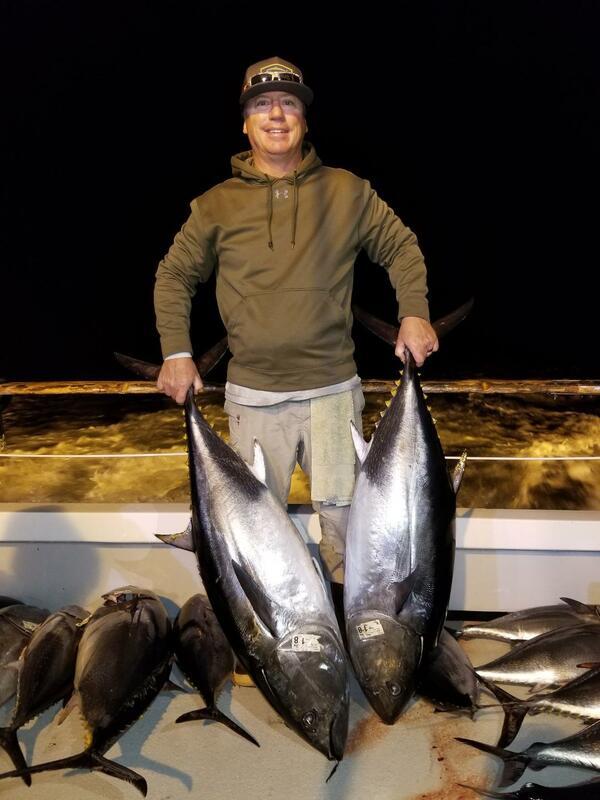 As we drifted for a while we kept hanging mixed grade 20 to 80 pound fish, ending up our first day with 46 bluefin tuna about half of our catch being that 40 to 120 pound fish, the rest 20 to 35 pounds. Throughout the afternoon weather increased. Day two was extremely tough to find a good school with the chop but once we did the fishing was good!. 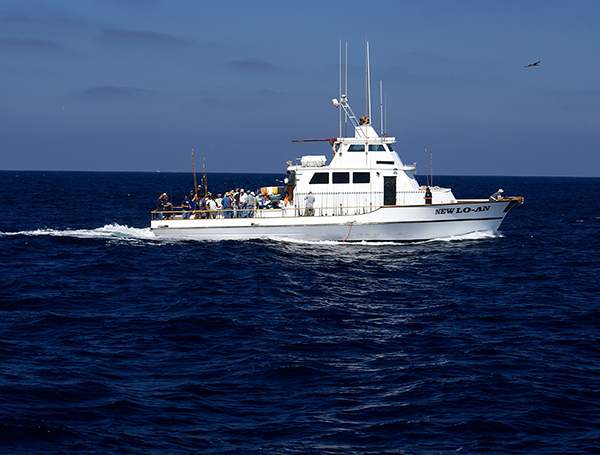 38 more bluefin hit the deck 20 to 65 or so pounds.... Awesome! 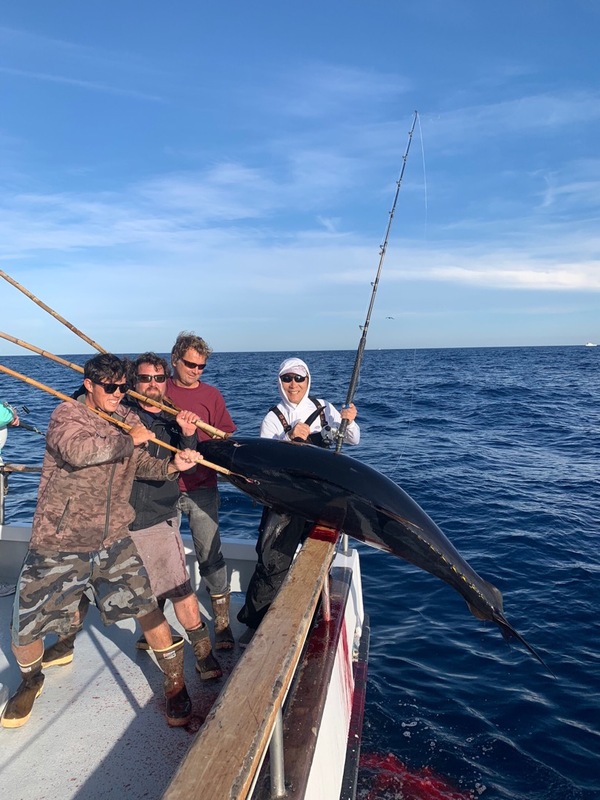 Thanks especially to our passengers including Charles Eng who scored this 120# bluefin on 30 pound test with a flylined bait, re -riding 2 trips in a row!